The economic WR9740 windrower helps you produce high quality hay faster, more efficiently and with greater precision. By Mason Machinery Inc based in Aurora, UTAH (USA). The Double L 951 Windrower provides growers with the ultimate in high capacity. 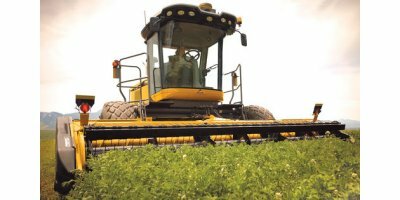 The longer secondary chain allows for better soil removal and higher-speed harvesting. 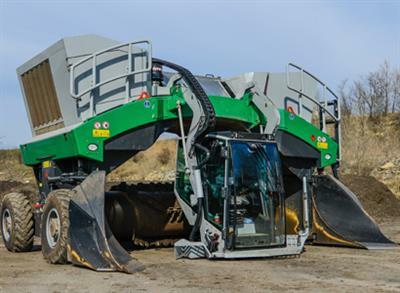 Combine the 951 Windrower with any Double L harvester to build your own high-capacity setup. The extended cleaning table along with the longer frame are the perfect formula for better cleaning. Capable of fitting a full width star table or stone table in the secondary. Thanks to its rotative movement, which secures an adaptation to every kind of ground, the hay rake forms soft and regular rope-walks of hay. The windrower has untringable arms. It is provided with 3 point hydraulic connection. 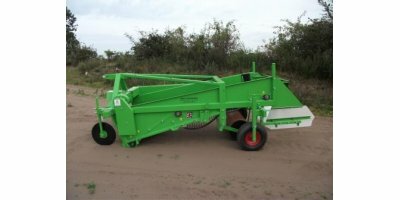 The DOPPSTADT DU 265 windrow turner of the DU series are independent of the windrow shape – for windrows of different sizes and heights. The high throughput rates (600 m3/h), short setup times and flexible use on site are the main advantages. 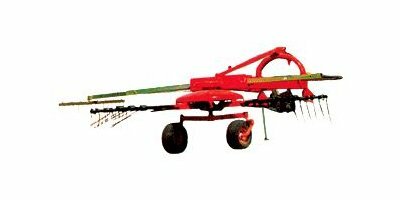 This is a tedder hay-turner with adjustable cams which, along with the normal formation of windrows can turn the windrows and even spread the hay.